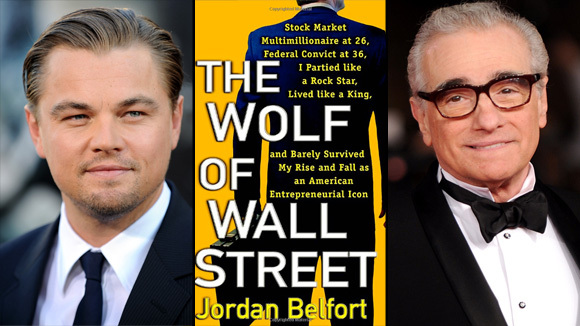 Best Actor at this year’s Academy Awards Jean Dujardin is set to join the ever growing cast of Martin Scorsese’s The Wolf of Wall Street (one of my personal favourite books based on Jordan Belfort’s autobiography) in which he will star opposite surprise surprise Leonard DiCaprio. Dujardin will play a suave Swiss banker who launders money for DiCaprio’s character. The Wolf of Wall Street is about a famous New York stockbroker who tastes success at an early age and gets caught up in all the trappings money has to offer. He refuses to cooperate in a large securities fraud case involving corruption on Wall Street, the corporate banking world and mob infiltration and that’s just the tip of the iceberg. Filming is set to begin in August 2012, can’t wait for this one! This entry was posted on Friday, June 15th, 2012 at 2:01 am	and posted in Uncategorized. You can follow any responses to this entry through the RSS 2.0 feed.